During a recital at the Three Choirs Festival, I became increasingly annoyed by members of the audience who insisted on rising every 10 minutes to go to the bar. Latecomers were also admitted after the recital had begun (a string quartet playing Haydn and Ravel), some of them with steaming cheese burgers. After the recital, I was shoved off the pavement by an inebriated trio of males all wearing “Get Pissed With Franz Liszt” T-shirts. Well, no. I made that up, because I’m amused and amazed at the difference in tone between a symphony concert and a jazz gig when either is part of a bigger event, especially outdoors. Don’t get me wrong. I hate the stuffiness of much classical music presentation as much as I dislike the often boorish behaviour of jazz’s unwanted hangers-on – like the ones who once trashed a Newport Jazz Festival. I have seen another distinguished event – Brecon – almost collapse as a result of trouble in the streets caused by web-footed hicksters. One year, I emerged from a late-night concert by the Lionel Hampton Orchestra with my wife and had to confront a series of street episodes resembling something out of a Hogarth cartoon. Trying to convert Mrs J to jazz involved convincing her that jazz wasn’t synonymous with Neanderthal incivility. Matters improved and Brecon jazz was saved. But only just. Its new superintendents at the time, the Hay Festival, clearly wanted to turn the summer shebang into a family affair. And who, with kids wanting to learn how to play jazz, could object? The slightly sanitised atmosphere, however, must have been a jolt to fans who can hold their drink and never cause trouble. Sadly, and for different reasons, the old extravaganza Brecon has gone, perhaps never to return. Brecon/Hay also concentrated tented gigs in one area, the grounds of the resplendent Christ’s College, which put the pub at a distance. Someone told me that trouble at a jazz or pop festival was inevitable if you held it in a town with a plethora of drinking-holes. Maybe, but there are loads of pubs in Gloucester and no performance of The Dream Of Gerontius has ever been marred by a festoon of raucous bums vomiting in the precincts of the cathedral. It would be easy to say that jazz has grown up in surroundings more or less always disreputable. The language suggests it: dive, gin-house, speakeasy, whore-house; in fact, any place which “suits” its slightly risqué persona, its wildness, its spontaneity, its informality and quicksilver lack of definition. The song lyrics, too, can be raunchy: anyone who thinks a mojo, working or not, is some kind of Lego toy is definitely missing out and presumably sits bemused before the Bo Duddley sketch by Peter Cook and Dudley Moore, in which, at La Maison Sophisticée, Cook attempts hilariously to interpret the jazz lexicon. Then there is the curiosity of the jazz audience. At how many gigs does the band almost outnumber the listeners? That would never happen at a classical concert, though I’ve noticed audiences dwindling of late. 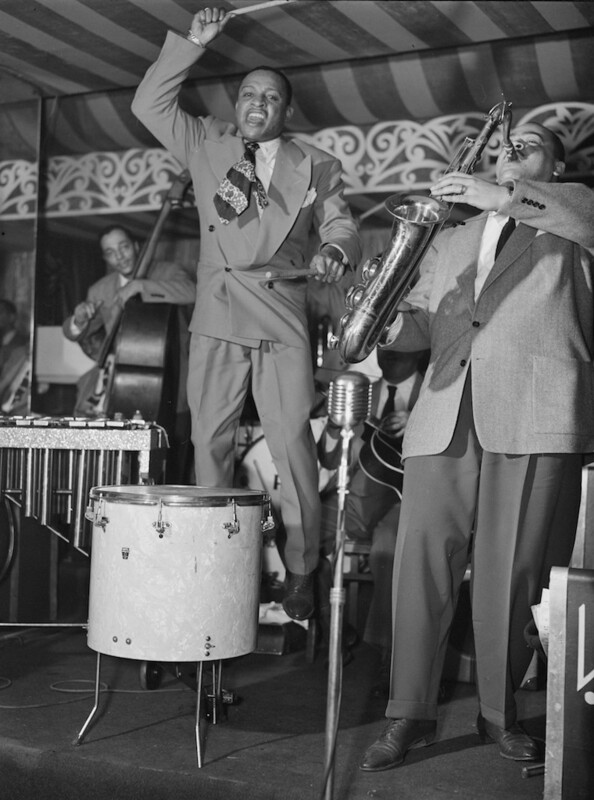 Nor does jazz’s pretension to “seriousness” guarantee a bigger following: it is popularity, and maybe the dilution of jazz content, which achieves that; although, when Erroll Garner became a Sol B. Hurok attraction, did his wider appeal lessen his artistic worth? OK, probably yes. I see nothing wrong with jazz in a concert hall. Cigarette smoke, gone from club and bar, was never an attraction, nor were dodgy acoustics, cramped surroundings, doleful sound engineers, chattering punters and expensive drinks. The concert hall rids us of them. But a conundrum remains. Does jazz need the dignity bestowed by a classical music venue or festival organisers committed to a degree of regimentation? Does jazz’s own inherent dignity need emphasising? We jazz lovers are a small elite and thus never make the trouble that sometimes gives popular music a bad name. Perhaps all we can do is studiously ignore bad behaviour. I’d drink to that. I’d also toast the Brecon jazz festival, if it were still with us in its halcyon form. Having said all that, the sight of young jazz musicians drinking water and performing in a church lowers my expectation of what they’re about to play. Just call me old-fashioned – or Old Peculier, as it’s correctly and peculiarly spelled.